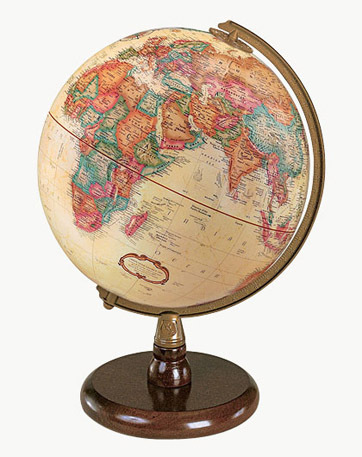 Handsome reference. 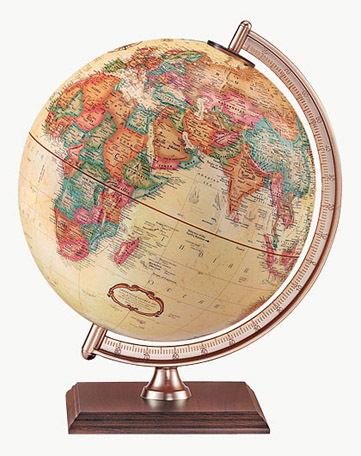 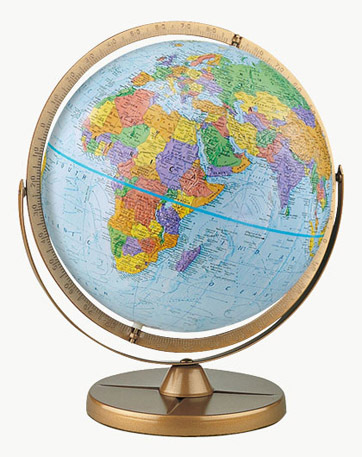 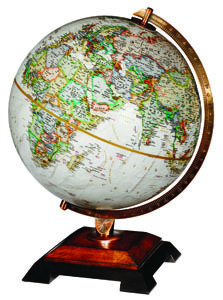 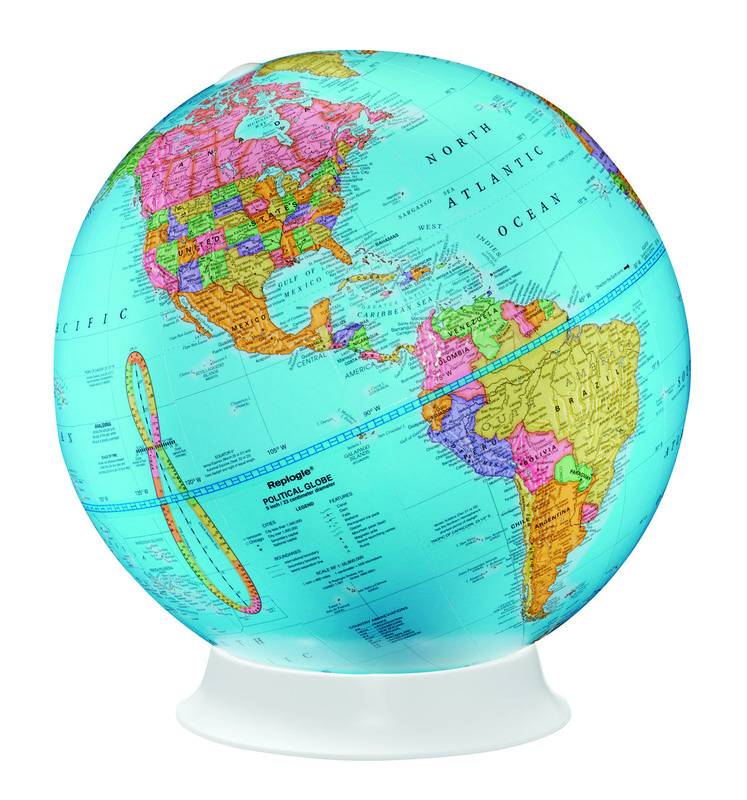 The antique ocean raised relief globe is completed by its wood base and satin gold coloured plastic meridian and riser. 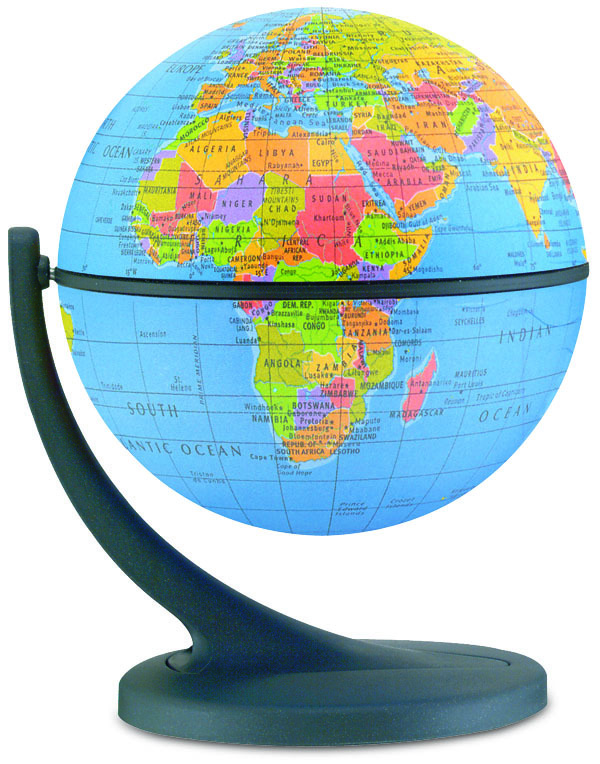 There is much value found in this distinguished desktop accessory.